Bullet journaling may just have saved me. Big moment here as I admit to something I don’t talk about. I have attention deficit issues. I suppose everyone knows it as ADHD. I try so hard to just survive as an adult, and often feel like I cannot keep on top of anything. When I was working, it took all my effort to make that my focus. 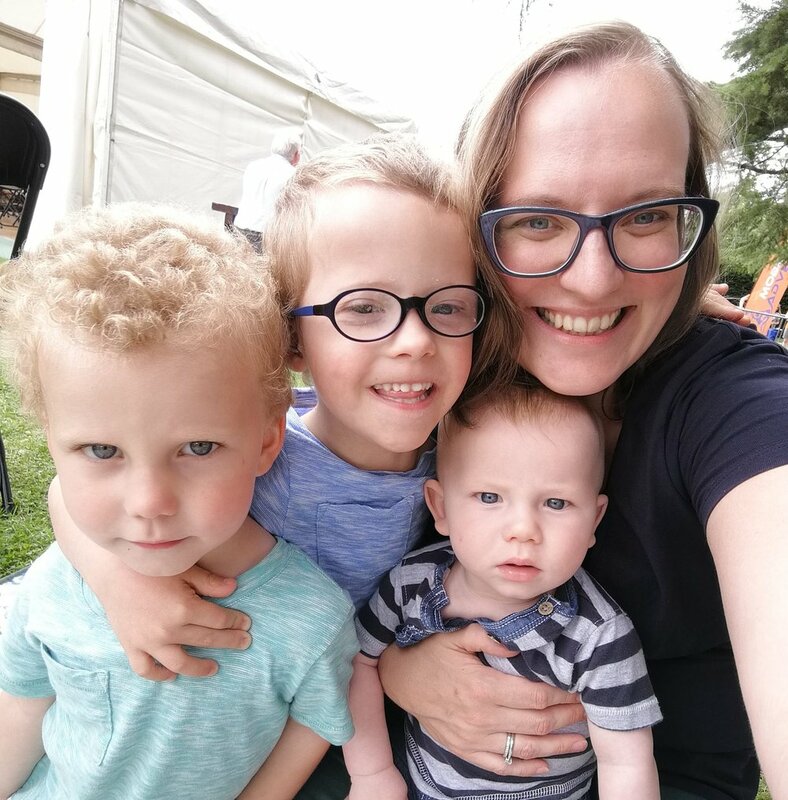 When I had just one child I could focus on that, but having two children with different needs to look after all day took so much of my brain power to keep on top of that the housework suffered. Daniel’s therapy schedule suffered. My brain was packed full of stuff and honestly I felt, still do feel, like I was failing as an adult. If Colin wasn’t here I’d be bankrupt from disorganisation. A diary was never enough for me to keep on top of to-do lists and our schedule, particularly when Daniel arrived as he had therapy and medical appointments so I used big desk weekly planners that you can buy in Paperchase to write down what was on and my to-do lists, and had a monthly meal planner that I wrote out by hand at the start of each month. Neither of those systems were particularly portable though so when I read around the new year about bullet journaling I decided it was worth a go. It has been so much more than just a journal/planner, it genuinely makes me functional and therefore happy. For those of you who don’t know what it is, the initial bullet journal plan is having a clear analogue system (ie an actual notebook) that you customise for yourself, so it includes a future log (a long term planner for dates in the medium length future, like a concert you’ve tickets for), diary, to-do lists, noting eventful things that happened, anything you want, using a set key, numbered pages and an index. However, there are some hilariously over the top bullet journals out there. If you look on Instagram and Pinterest you’d think some people were full time bullet journalers their beautiful pages must take them so long to create. A screenshot from the bullet journal website explaining how the key works. You might notice the ADHD right there with my web browsing and how many tabs there are! I normally have about 25-30 tabs open on my phone, and on each web browser on the laptop too! To be honest though, for me I need a visual weekly planner like my old Paperchase ones, so I draw them out each week (takes about 5-10 minutes to set up) and some weeks the week gets away from me and I don’t do dailies, other weeks I do a mixture. I have seasonal to-do lists, a page outlining Daniel’s settling in hours at nursery, did a planner page for my mother-in-law’s 60th which I organised, had a two page spread of things I wanted to watch at the Olympics, just a big variety. I often have weeks when nothing gets added to the weekly layout over and above the dates I had sorted at the start of the week, and a few ‘memories’ pages have two or three things written on them and that’s it! Still, it’s not meant to be perfect and it is working at keeping me on top of things. Mostly. Personally the intricate layouts that entire blogs are built upon now aren’t really the point of the system so while they’re nice to look at, that’s just too much work and I know I would spend all my time creating fancy pages and not doing any of the tasks I was writing about! So for most of this year I’ve finally felt like I’m treading water not drowning thanks to my bullet journal. Plus, it’s an actual miracle it’s not been flooded by water or coffee yet! My hope is that I will be able to get Rory minded a few hours a week and I can get some decluttering and cleaning done and hopefully by the time I’m 33 I’ll finally be a functioning adult.